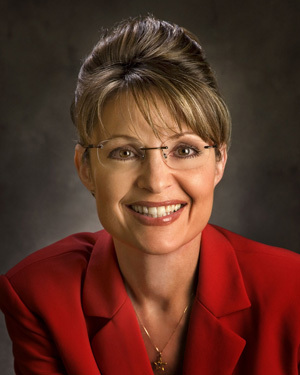 Home / Latest / Should Jews Fear Palin? When Sen. John McCain nominated Governor of Alaska Sarah Palin to be his vice-presidential candidate, there were a number of reactions in response to what is still considered a risky political move. The initial debates circled around whether her relatively brief career as a maverick and reformer could make up for her lack of foreign policy experience. As she prepares to speak at the Republican Convention, the debates are still swirling. We at Moment are interested in her relationship with Jews. How should Jews across the country feel about Palin’s nomination and the possibility that, if something were to happen to McCain, she would become president? But wearing a Pat Buchanan pin at an event in 1999 and unabashedly displaying her unwavering Evangelical social views has some Jews—who tend to vote liberal on such issues—puzzled. For a party which claims it is trying to reach out to the Jewish community McCain’s pick is particularly strange. Prior to today’s selection Palin apparently has never spoken publicly about Israel. Moreover, on a broad range of issues— most strikingly on the issue of women’s reproductive freedom— she is totally out of step with Jewish public opinion. And despite the support of most Evangelical Christians for the state of Israel, Palin simply has had to make few decisions as Governor of Alaska that could assure Jews she feels the same. We had a good, productive discussion on the importance of the U.S.-Israel relationship, and we were pleased that Gov. Palin expressed her deep, personal and lifelong commitment to the safety and well-being of Israel. On the other side of the ticket, Sen. Barack Obama’s choice of Sen. Joe Biden has settled well with Jews. Yesterday, Biden referred to himself as a zadie and talked about mishpuchah in a speech at a retirement home in Florida. Biden noted that his son’s mother-in-law is Jewish and that the stepfather of one of his top foreign policy advisers, Anthony Blinken, was also a Holocaust survivor. Biden talked about his first trip abroad as a senator, where he met Golda Meir when she was prime minister of Israel. And he invoked several Yiddish terms to connect with an audience that included many elderly Jewish voters. So, nu? How do you feel about Sarah Palin? Did McCain make a good decision? Leave your comments below! Politician pander. That’s what they do, but I’m still always surprised. Good that Palin met with AIPAC – but I wonder if she needs them more than they need her. I think there are in fact two questions. Is she good for us as Jews and is she good for Israel. On Israel as you pointed out, as Governor of Alaska she has not had call to speak to the issue. As an Evangelical it makes sense she would strongly support Israel. Granted for reasons we as Jews might not be overly comfortable with. I’m for letting AIPAC and other groups who are well geared to do the vetting and then presenting their findings, do so. My grandma was Jewish as well as her son, my father. All of us became Evangelicals. I have led 4 tours to Israel since 1991. I was co-leader of a tour with Christians United For Israel Founder, the late Dr. David Allen Lewis, it was his fiftieth. He was an Assembly of God minister, the same denomination Sarah Palin grew up in. I used to be a member of this denomination and I can assure you I never met ANYONE in that denomination who was not an ardent supporter of Israel! They were Christian Zionists all. Didn’t anyone notice the Magen David/Israeli flag pin Sarah was wearing during the most important speech of her life in front of the millions of people watching??? !